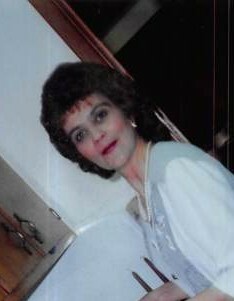 Lisa Reliford Danehower, age 56, of Nicholls, Georgia passed away on Wednesday August 29, 2018 at her residence following an extended illness. Mrs. Danehower was born on September 5, 1961 in Douglas, Georgia the daughter to the late Hubert Reliford and Ovelee Tanner Reliford. Mrs. Danehower was a homemaker and of the Baptist Faith. She was preceded in death by her husband, Frank Danehower. Survivors include two sisters, Shelia Mowen of Nicholls, GA and Elaine R. Tanner of Nicholls, GA; three nephews, Hercules Reliford, Walter Johnson and Dedrick Johnson; four nieces, Natasha T. Veasey, Karen Reliford, Tina Reliford and Tammy Reliford; several cousins. Memorial service will be held on Saturday September 8, 2018 at 11:00am at her residence, 1105 Meadow Drive, Nicholls, GA 31554.